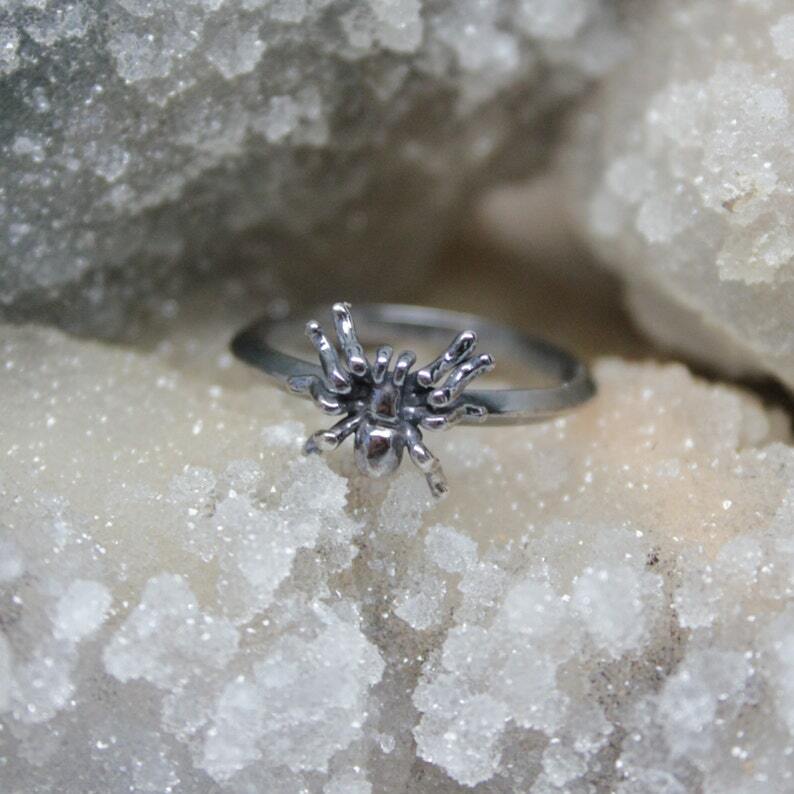 This listing is for a spooky sterling silver spider stacking ring. Make a stack! Add a custom stamped band and two dark hued gemstones like a blood curtling garnet and black onyx for a macabre feel.